“Surgical strikes” are when you travel specifically for perfect weather conditions (swell/wind or both) rather than on a calendar like most humans do. Many of you think this is reserved for the world’s elite pros or the rich and famous. But it shouldn’t be. Recreational enthusiasts should partake in at least one surgical strike in their lifetime – and probably many more – as they’re the ones that have to watch epic conditions pass them by day after day when they’re at their day jobs. If you only have two weeks off a year and you miss the epic score during your break, then you have to wait another year to roll those 2/52 odds again. Strike out too many years in a row and it starts to really eat at you. 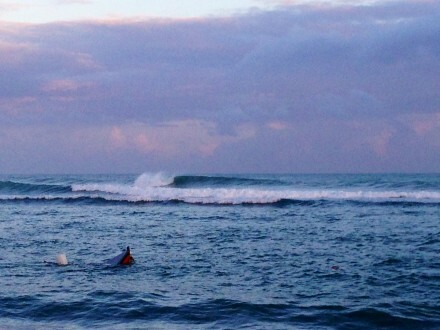 Even when it gets really big, Puerto Rico has spots that will tame the size. My good friend and REAL Teamrider Josh Mulcoy has been inviting me to go to Las Palmeras in mainland Mexico for the past three years. He only goes there when it’s good, like really good. He never “calendars” his trips. He just waits for the swell/wind to be perfect and then flies in. Listening to Josh over the past three years, I just couldn’t compute it. I mean yea, the concept made obvious sense, but maybe I just felt guilty dropping everything and rolling, only to score my greedy brains out when I got there? Where was the waiting? Where was the anticipation? Where was the disappointment? I just put it out there that this was for the pros and if I wanted to go somewhere I needed to calendar it out months in advance. This was until I pulled the trigger at the end of March to catch what many were touting as the best swell of the winter in Puerto Rico. Ready for anything with 9-6 down to 6-8. Stoked I had my local crew great times in and out of the water! The first surgical strike lesson I learned was that you have to line up some friends to either go with you or meet you down there. Good sessions are always 50/50 based on the conditions and the people you are in the water with. Go on a trip like this to surf perfect conditions by yourself? Not as much fun as doing it with friends that will push you in the water and get you laughing hard on land. With surgical strikes, you need to have these friends lined up ahead of time by qualifying who’s on your call list and who has the flexibility to drop everything and go when it gets good. If you do this last minute, you end up with a mix of people who are either cursing you for scoring or cursing you for having the ability to drop everything and leave. Plus none of these people will be able to go if they haven’t prepared themselves for this mental hurdle ahead of time. If I had to do it all over again, I’d find these people on the strike list well ahead of time, only call them (nobody else) and then roll out silently, like a good shady bounce at a packed party. That way the only people that even know you’re gone are the ones traveling with you or meeting you on the other end. Well, those people and your supportive wife, of course! The next surgical strike lesson is knowing what conditions you’re looking for. Some people got so amped about this swell they traveled to Puerto Rico and were in shock by how big it was, totally unprepared for the size. You should know your sweet spot and what “perfect” means to you. For most, this is head high and clean offshore winds. For me, I wanted it as big as it gets because we have plenty of head high days at home in Cape Hatteras, plus I had a 9’6 Stretch Gun stashed in PR that was over 3 years old and still brand new. I kept hoping I was going to score on a calendared trip and get to use it. 3 years later, still no wax on the board. When I saw this swell forecasted, I knew it was the last window to use this board before the surf started shutting down for the Spring and Summer. Once you know what your “perfect” is, do the research and find out what this translates to on the local forecasts. This will have you showing up to your perfect dream rather than your perfect nightmare. The N PR forecast is focused on the beaches east of San Juan through the Ramey/Wilderness region. Look for 6-8′ NW/NNW swell during the morning hours on Friday. New, long period NNW swell reinforcements fill in over the afternoon setting up solid 8-12’++ surf at the spots that can handle the size late in the day. 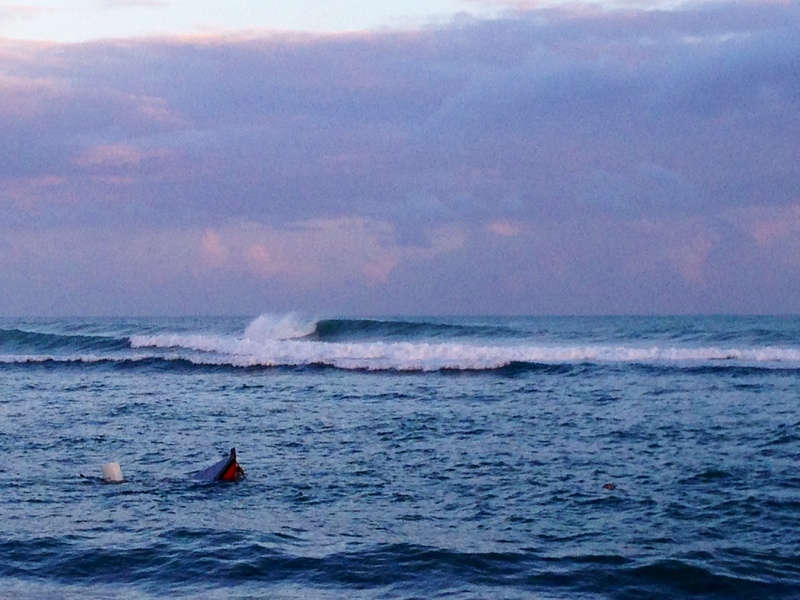 Standout, deepwater spots will see bigger sets by the end of the day. Winds are E becoming ENE 15-20kts. Last Lesson: Show up a day before this hits. I’d say the last surgical strike lesson I learned was that if you have the flexibility, your first day in the water should be the day before the major swell hits. That way, you have a day to cruise, warm up in average conditions and rest off the travel before the heavier stuff arrives. 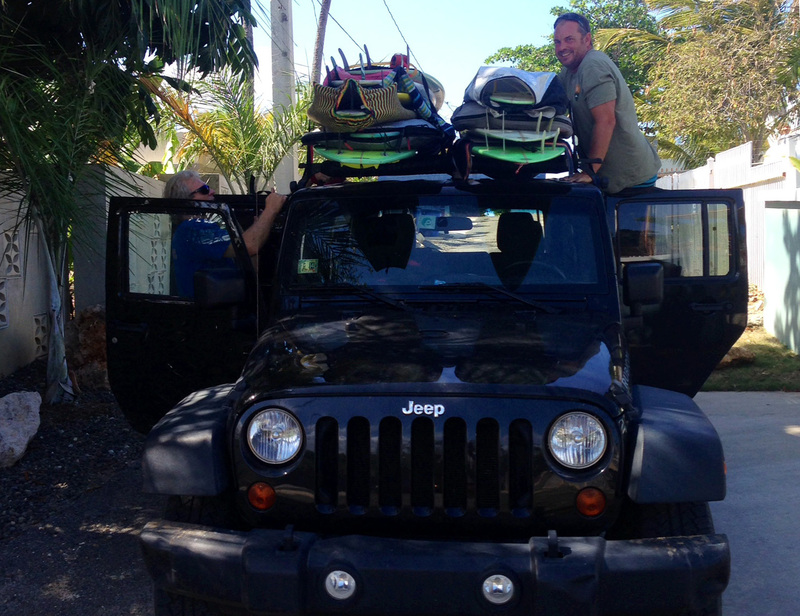 I landed in Puerto Rico at 1:30am Friday morning and after getting all my gear ready, went to bed around 3:30am. At 6am, my friends were banging on my door and it was go time, straight into the big stuff. The first day of the swell was definitely the biggest, although not as organized. 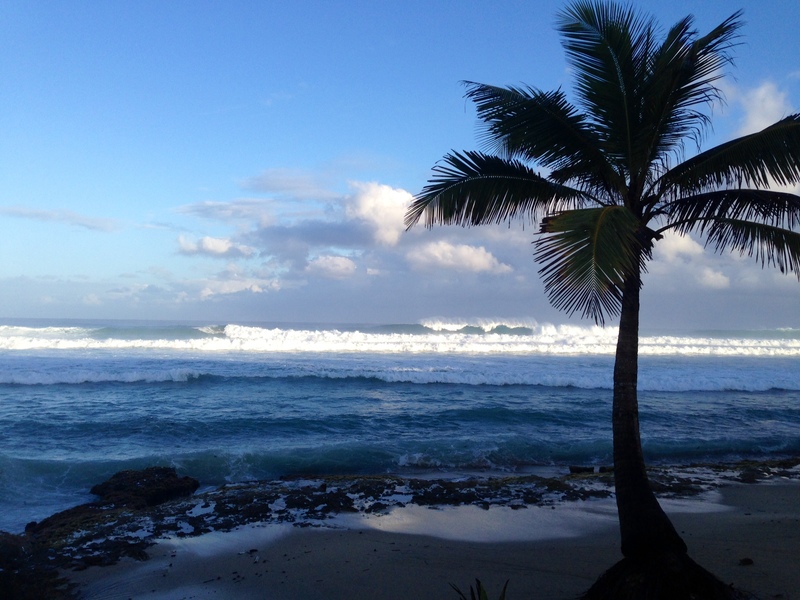 We surfed Wilderness in the morning and then Tres Palmas in the afternoon. I started out on my Stretch S8 7’4. This is a step up that works really well in PR when it gets bigger. It’s a great blend of paddle power and the ability to still snap tight turns when you want to. When you go bigger than this you start losing the turning ability. I’ve actually never had this board feel small until this day. By the end of the first session, this board was feeling like a 6’0 and every drop was either free fall to making it or free fall to Scuba Steve. 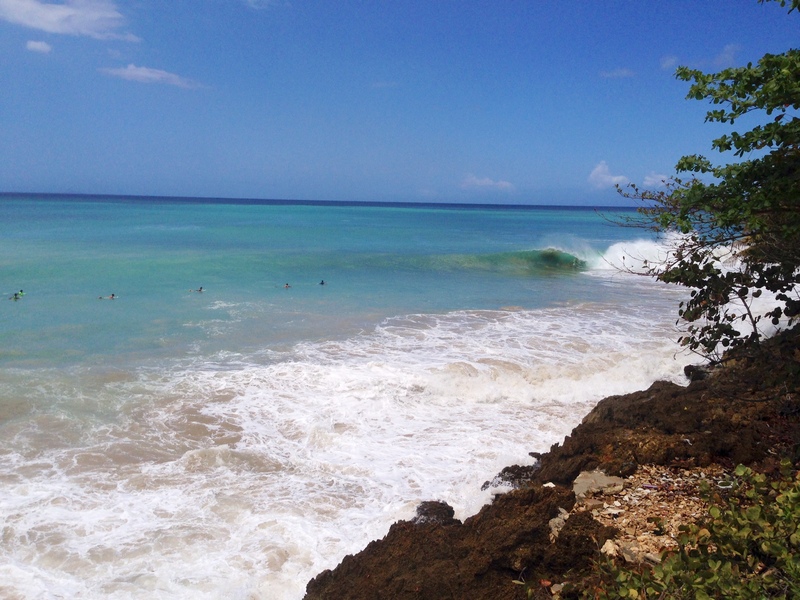 After we got blown out of the water at Wildo, we headed over to Rincon to surf Tres Palmas. This is Puerto Rico’s big wave spot that can hold almost anything. Most photos you see of this place are taken from the top of the hill about a half-mile away, so it’s always bigger once you commit to the half hour paddle to reach the peak. The swell was peaking Friday evening. We had to wait a bit for the SW onshores that surprised us right when we got there to subside and turn back offshore. With about two hours of light left, the wind backed off and went glassy with just a touch of offshores in the puffs. Add the Rincon sunset lighting and it was going to be all time! The paddle out at Tres is actually really easy since you only have a few small whitewater duck dives and the rest is dry hair as you make your way out the channel. Once you reach the peak you realize there’s a shifty takeoff spot and the advice given to me was don’t sit too far north otherwise you’re gonna get creamed when the cleanup sets come. Well after some insane rides and plenty of medium sized creamings, the BIG cleanup set came right at sunset with about 7 of us still out there. Every one of us got taken out. I got held down for two waves with only a small breath before the third rolled over me. The good news was that I didn’t have to paddle back to the beach. I got to ride that whole distance underwater! Hahahaha. Day 1 tallied up at 5 good waves for the day. Sounds like a half hour wave count for most sessions, but like they say in big surf, you’re either in the rhythm or you’re not. Sometimes you would get two back to back and other times get nothing for an hour. I was just stoked to find the top end of my 7’4 and also finally feel the power of my 9’6. The Stretch 9’6 is also a quad, with a 3” pugged nose and 5lbs of lead shot weight added to keep the board down on the water and also make the nose feel “lighter” and more in control when swinging it through the turns. This board is a paddling BEAST, carries a ton of momentum and really helps bring things under control when it’s really big. Every other board in my quiver is based around maneuverability. This board is based on paddling speed and the ability to catch waves and make the drop with 25 knots of wind coming up the face, everything after that is secondary. Saturday saw the swell really cleaning up and getting more organized. Since the swell had dropped enough for more people to want some, Tres was packed out in the morning, so we opted for Wilderness again, which is closer to our house. The north reef was working really well out the back all the way through the parking lot. 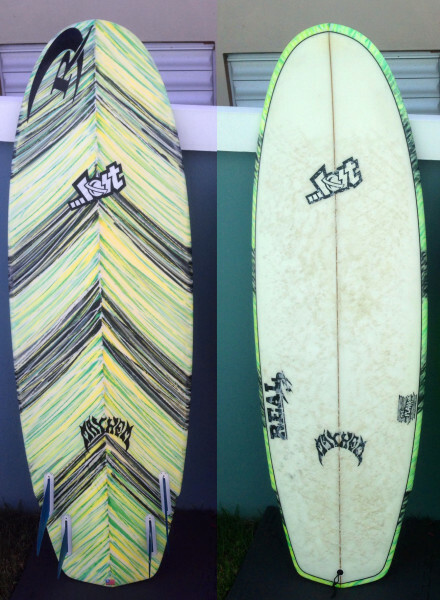 I’ve never thought you needed a gun for Wildo, but this day there were 6 or 7 people on pintails 8’6 or bigger and getting most of the good waves. I rode a brand new 9’0 Ricky Carroll Quad this day for 4 hours and then broke it clean in two. A few guys in the parking lot thought I must be so bummed about breaking a new board. After the waves I got on that day, that board owes me nothing. I was so stoked with how it rode, definitely ordering another one. This day was totally opposite of the previous, as I got 4 good waves in the first hour, and then a ton more after that. Everything just seemed to click. I also think it was the second day of the swell, rested off the jet lag, etc. That’s when I came to the conclusion fly in the day before the swell hits – but I guess the pros already knew this! Day 3 saw conditions still head high+ in the morning tapering off to chest to head throughout the day. We kept it local and surfed right in front of our house – no crowd for the dawn patrol. 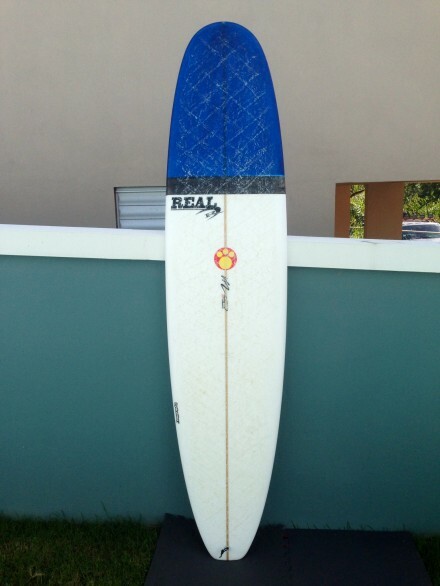 After two days of surfing 8 hours a day, I cruised the 2 hour morning session riding an 8’ Maurice Cole shaped from an EPS blank with Hydroflex Apex glassing. 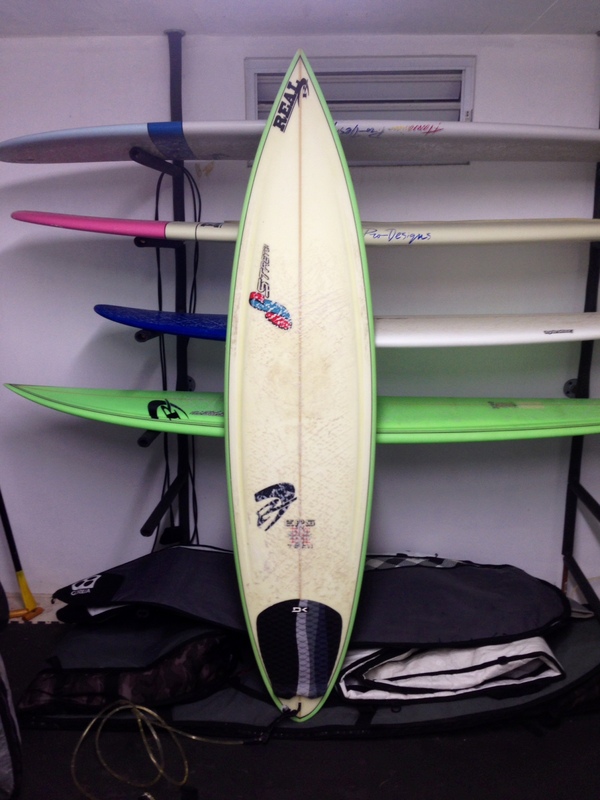 This board is so light and fast, it weighs less than most 6’0s. Really a fun board to ride in a wide range of conditions, plus still lean enough to duck dive deep when the cleanup sets come. Maurice Cole 8-0 in EPS/Hydroflex construction. After a MASSIVE breakfast – the first meal we ate not behind the wheel of a car or passing out in our plate – we headed back out and grabbed three more sessions as the swell continued past its forecasted stay, then started to fade a touch, then dropped out. 6’8 and 6’2 …Lost Sub Blasters for the first two sessions and then a 5’11 …Lost Plank for the final swing. 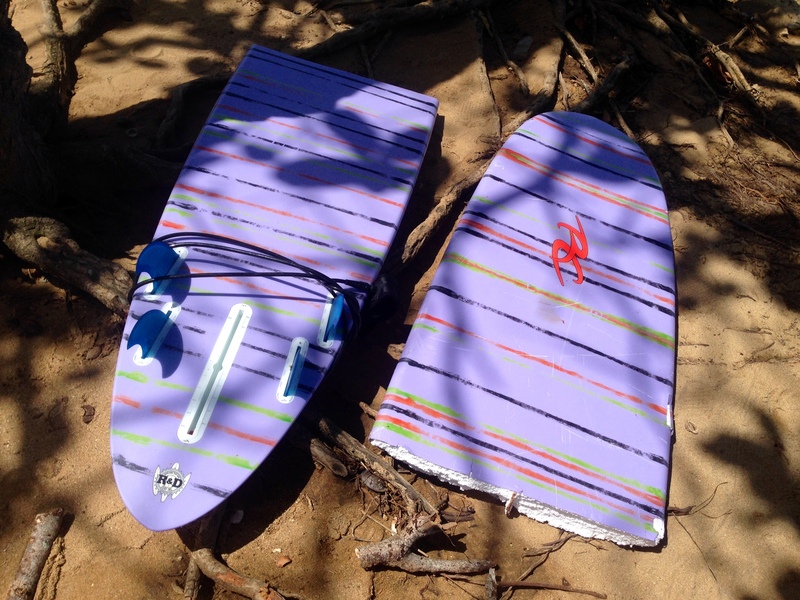 The …Lost Sub Blasters work really well in PR, especially as traditional concave boards start getting bounced around by the stiff trade wind chop. These boards have flat to spiral vee bottoms so they smooth out the bumps and keep their momentum up when it’s bumpy. I got the 6’2 Round Pin first and just fell in love with it. After that I added a 6’8 to fill out the quiver for down here. This place almost always has wind that everyone curses, might as well have boards that work when it’s windy. …Lost Plank 5-11. This board was a game changer 3 years ago and is still a blast to ride! 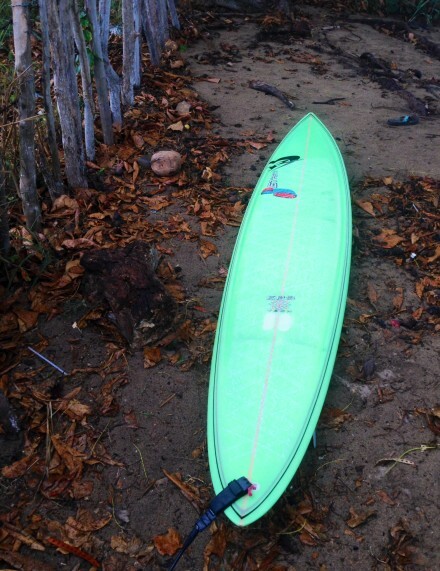 My …Lost Plank was the first good groveler I ever had and is still a blast to ride. You don’t think they change the new models that much until you go back to the OG Plank and compare it to the newer RV’s, etc. After three solid years of riding this board, the deck is nice and soft, with the stringer sticking up for some solid arch push in the turns. It’s awesome! 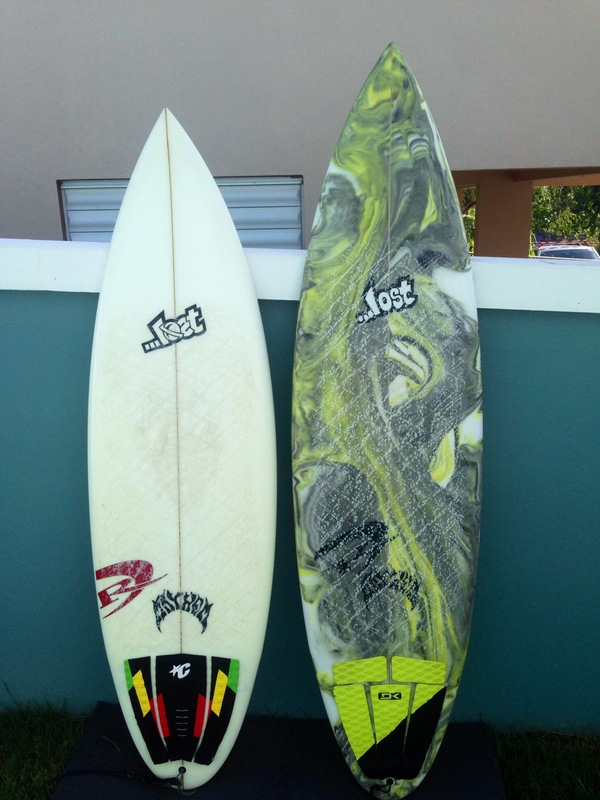 There are some great waves in PR for both this board and also noseriding on logs when it’s smaller. Take’em both to the beach with a cooler full of Medallas (the local PR beer) and you have a recipe for Puerto Rican sunset fun. Day 3: Sunken boats and roping lefts outside our door at dawn. We surfed the entire swell until it was gone. My last wave in on Sunday night was in the rain and in the dark. The parking lot was empty when I got back to the car. Muddy feet and all, I headed back to the house, packed my gear and got ready for the trip home. Three solid days of perfect surf. No wasted time. Surgical strikes aren’t just for the pros. They’re for anyone who loves surfing good waves and needs that rush on a regular basis. After this trip I know two things. One is that the adrenaline rush I scored on this trip is going to last a long, long time. The other is that surgical strikes are not just for the pros, unless that includes professional recreational surfers like the ones reading this article right now.